because I see it so much from day to day. 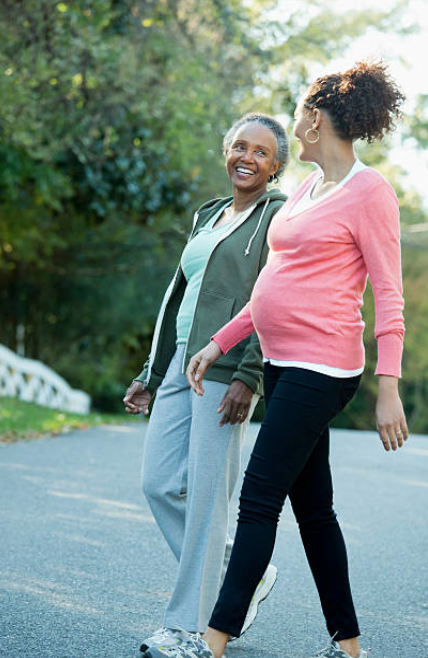 Did you know that if you are diagnosed with gestational diabetes, that you are likely to get Type 2 diabetes on later in life? 70% of women diagnosed with gestational diabetes will go on to develop Type 2 Diabetes 22-28 years after their inciting pregnancy. This disease also puts you at increased risk for high blood pressure disorders in pregnancy and a C-section. So please don’t ever look at this disease as something that just disappears after pregnancy! Also, this disease shouldn’t be looked at lightly; if your blood sugars are too high, it can cause your baby to grow too big, leading to complications with your baby after birth, higher amniotic fluid volumes, birth traumas, increased risk for vaginal tearing and bleeding from these traumas, etc. This is your opportunity to attack this disease! 1. No woman is exempt from pregnancy cravings, just make smarter decisions about them. For example, if you want a cheeseburger, ditch the bun 🍞 and fries 🍟 ; if you want a milkshake, get a protein shake instead 🥛 ; if you get hungry at night, eat a protein heavy snack like peanut butter 🥜 or cheese 🧀 . 2. BE HONEST about what you are eating with your OBGYN! We are not here to judge, we are here to help control your sugars the best we can, and the only way to do so is if we know what you’re consuming daily. 3. Try walking for 30 minutes after each meal, either around the office or around your house. This will also help to decrease your blood sugars from being high and causing the aforementioned complications. 4. Take your medications as scheduled, check your blood sugars regularly (just keep your machine and your log in your everyday purse! 👜), and make sure you go to your weekly sonograms after 32 weeks because that is how we are able to tell about your baby’s well being.